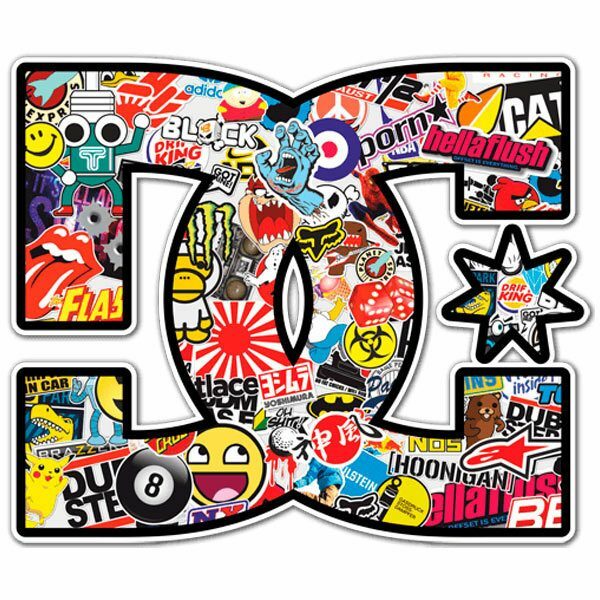 Sticker Surf Skate DC Sticker Bomb 2. Cool textured bumper stickers with fashion. Exclusive new MuralDecal. The new trend is called "Sticker Bomb". Manufactured in vinyl printed in full color and resistant to sunlight and pressure washes. 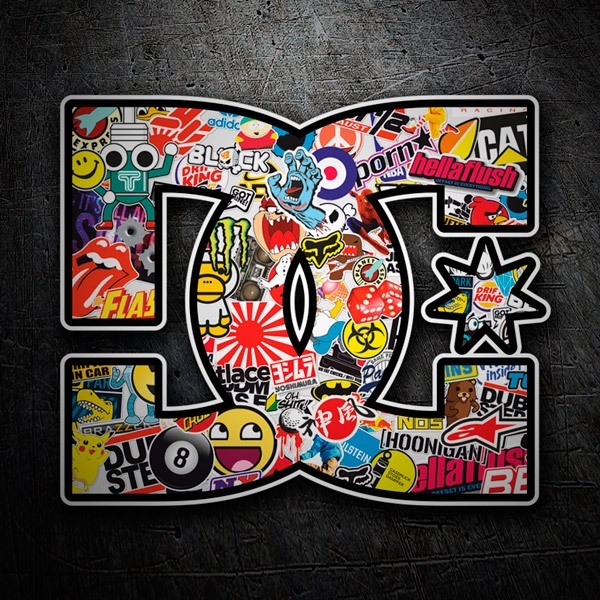 Ideal for decorating iPads, laptops, furniture, motorcycles, cars, surfboards and skateboards, etc. 3.94 x 3.15 in. 4.72 x 3.94 in. 5.91 x 4.72 in. 7.87 x 6.30 in. 9.84 x 7.87 in. 11.81 x 9.84 in. 13.78 x 11.42 in. 15.75 x 12.99 in. 17.72 x 14.57 in. 19.69 x 16.14 in. 21.65 x 17.72 in. 23.62 x 19.69 in. 25.59 x 21.26 in. 27.56 x 22.83 in.